America innovates medical devices, procedures and pharmaceuticals for the world. We offer the best medical treatment system in the world, but that is only as good as being the best at putting out house fires after they have started. Fire prevention is cheaper and more effective than fire recovery. The same is true for healthcare. Our healthcare system is broken. Fixing our healthcare system requires addressing the underlying causes. Many of these causes are related to prior action by our government. The accuracy of the documents linked below is not confirmed, but is presumed because of the authors' reputations. Any opinions presented by the authors do not reflect the opinions of the Yuba-Sutter Healthcare Council or its Members. 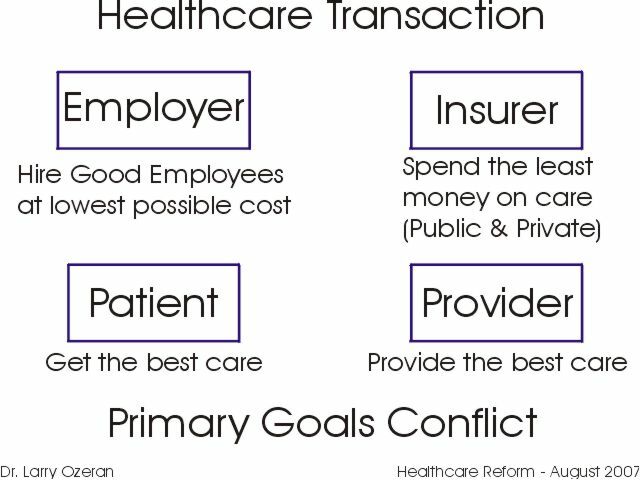 While the healthcare provider wants to give the best care and the patient wants to get the best care, the goals of the other parties, employers and insurers, are not aligned with either the patient or the provider. 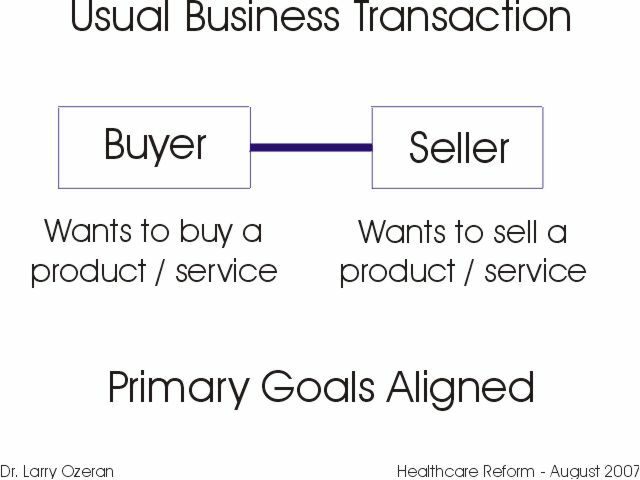 In fact, the goal of the insurer, to spend as little as possible on clinical care, often conflicts directly with the goals of the patient and the provider. 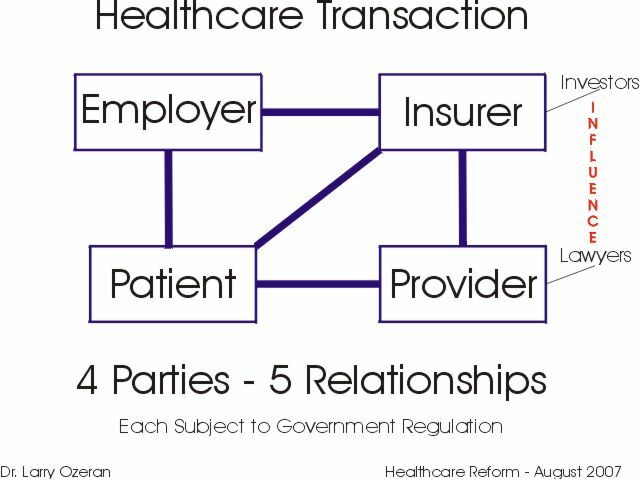 In our current healthcare environment, we cannot negotiate to the center of a table tilted heavily in favor of the health insurers whose goals are counter to the optimal healthcare transaction. That will only continue to promote a dysfunctional healthcare system. At best, it puts off the collapse of our healthcare system for a short time and benefits only a fraction of those it intends to help. At worst, it makes the needed reforms harder to achieve. As a result, we must first recognize where we are and identify what we want our healthcare system to look like in the future. Identifying the difference between the two (a "gap analysis") can help us to map out a plan for effective and sustainable reform of our system. Below are the core problems which we must resolve to achieve an effective and sustainable healthcare system. The Possible Solutions do not pretend to be the best or only options. They are offered to suggest one possible general direction based upon the principles referenced at the end of this document. As Albert Einstein has said, "We can't solve problems by using the same kind of thinking we used when we created them." Finding the solutions needed to ensure an effective and sustainable healthcare system will require a new way of thinking about healthcare and a new process for reform, ones we have not tried before. We recommend that this new thinking involve first identifying our core principles through consensus and only then trying to define the policies which promote and support the principles. This is why the Yuba-Sutter Healthcare Council has identified our key principles for effective and sustainable healthcare. A government led consensus process might lead to a core set of principles that are different than ours, but they must be equally actionable to drive rational policies in support of the principles selected. 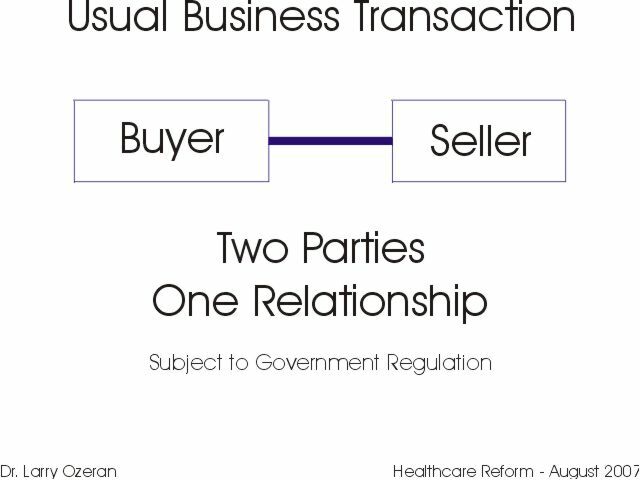 How we solve the healthcare crisis will depend upon whether we agree to start with basic principles or whether each party simply continues to lob demands at the others. Once we identify our core principles, some of the policy choices will be clear and others will require lengthy discussion. Despite the passage of ACA, there remains much to improve in our dysfunctional healthcare system. We encourage everyone to ask Congress to consider this new approach to healthcare reform. Please contact us with any thoughts you wish to share or any questions you wish to ask. "Why Not the Best? Results from a National Scorecard on U.S. Health System Performance"
"Healthcare Reform: from Problem to Crisis to Solution"
"Computerized patient records improve practice efficiency and patient care"
"Bringing evidence-based best practices into practice: more than 600 Minnesota physicians put EBM to work"
"AMA meeting: Delegates renew efforts for antitrust relief"
"Antitrust Laws a Hurdle to Health Care Overhaul"
"Failing to Correctly and Accurately Pay Claims to Health Care Providers"